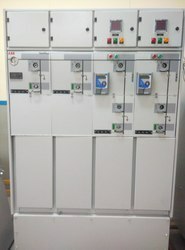 Compact Substion is a prefabricated, type tested as per latest IEC standard 62271-202 and CSS is arc tested assembly comprising an enclosure containing medium voltage (MV) switchgear, distribution transformers, low voltage (LV) switchboards, connections and auxiliary equipment to supply low voltage energy from medium voltage systems. Compact substations are typically installed in locations accessible to the public and ensure protection for all people according to specified service conditions due to the highest degree of Internal Arc Classification. 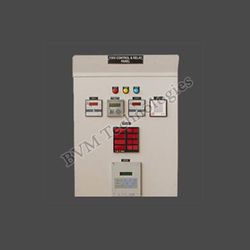 Outdoor Vacuum Circuit Breaker Panel comes with reliability, performance, maintenance free and long life 11kv, 630A, 20kA, VCB Panel. 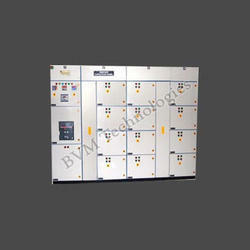 We are offering compact substation - css. 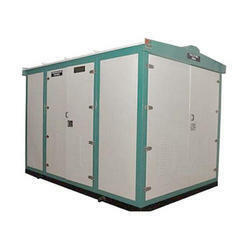 css is a prefabricated secondary substation with type-tested equipment and includes a distribution transformer, medium voltage switchgear, low-voltage switchboard, connections and associated equipment in a compact unit. The enclosure is typically divided into three sections or compartments – medium voltage switchgear, low voltage switchboard and distribution transformer. 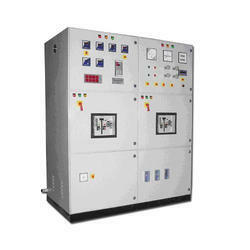 Our company is the distributor, supplier, trader and exporter of high quality and efficient Compact Secondary Substation in Ghaziabad, Uttar Pradesh, India. 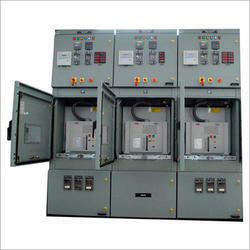 Our Substation is manufactured utilizing finest quality material and is quality examined on various parameters. Appreciated for its uninterrupted and long service life, our range of Compact Secondary Substation is broadly utilized for several plants and substations. 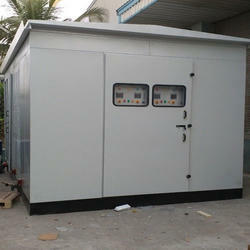 We Present Compact Secondary That Is A Substation. We Have Acquired An Enviable Supplier, Exporter And Manufacturer Of Efficient Compact Secondary Substation. Our Compact Secondary Substation Is Well Examined By Our Quality Auditors On Various Parameters. Attributing To Its Continuous And Long Service Life, Our Array Of Compact Secondary Substation Is Widely Used For Various Plants And Substations. 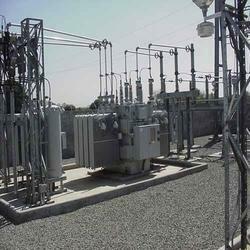 We Are Committed To Provide Compact Secondary Substation At Most Competitive Prices. Css Has Three Main Sections Or Compartments Encompasses Medium Voltage Switchgear, Low Voltage Switchboard And Distribution Transformer. Hotels, office buildings, business centre’s etc. 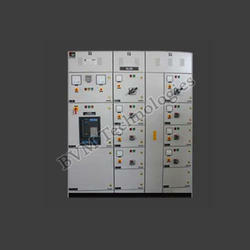 33KV SF6 Circuit Breaker Indoor Panel that is used for the protection of transformer, generator and HT capacitor. These panels are precisely designed following strict industry parameters and are appreciated for features like superior quality and cost effectiveness. 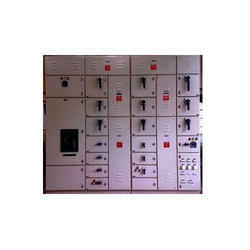 The panel provide highly un-interrupted performance and ensure safety of user. 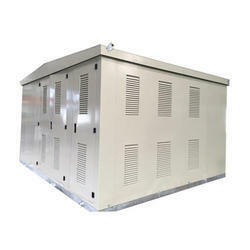 33KV SF-6 panel (Indoor Type) for protection of Transformer, HT Capacitor and Generator. 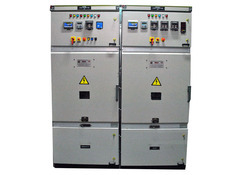 The ACB or Air Circuit Breakers offered by us are used as both as circuit-breakers for general protection (of plants, of user complexes, of electric lines) and as protection circuit-breakers of electrical machines (generators, motors, transformers, capacitors). 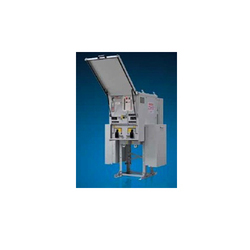 These air circuit breakers are used in all types of plants ( like civil, industrial, and in the service sector) as well as in the equipment on-board ships, in mines, in prefabricated substations, and for primary and secondary distribution in general. 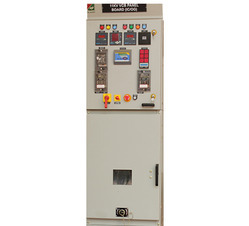 33KV Control & Relay Panel is combination of protection relays, metering devices and some other electrical items used for controlling the system. 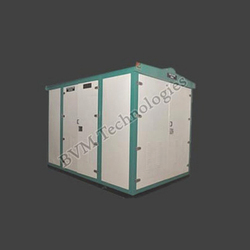 CSS is a prefabricated, type tested as per latest IEC standard 62271-202 and arc tested assembly comprising an enclosure containing medium voltage (MV) switchgear, distribution transformers, low voltage (LV) switchboards, connections and auxiliary equipment to supply low voltage energy from medium voltage systems. 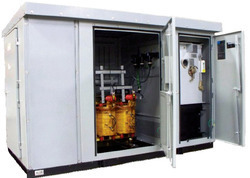 These substations are typically installed in locations accessible to the public and ensure protection for all people according to specified service conditions due to the highest degree of Internal Arc Classification. 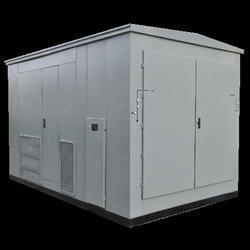 Compact Secondary Substation (CSS) is the prefabricated secondary substation with type-tested equipment and includes a distribution transformer, medium voltage switchgear, low-voltage switchboard, connections and associated equipment in a compact unit. 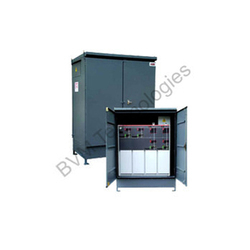 The enclosure is typically divided into three sections or compartments – medium voltage switchgear, low voltage switchboard and distribution transformer. We are one of the most preferred organizations for Compact Substations.These Substation are delivered and designed by our team of technocrats using premium quality components in conformity. 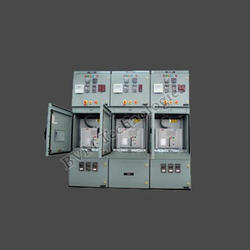 Distribution Transformers are using qualitative material and tested on various parameters for efficient working life. 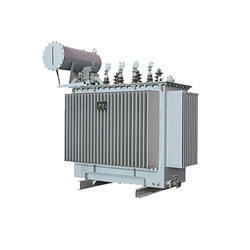 These energy efficient and durable Transformers are capable of withstanding extreme voltage supply. We also provide installation services to our clients as per their requirements. 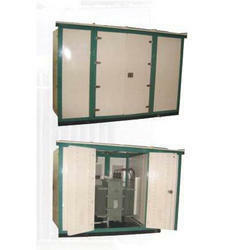 Moreover, our Power Transformers are available at reasonable prices. 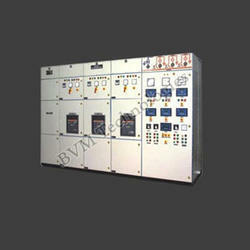 PCC Panels are used for diverse industrial applications and provide reliable service. 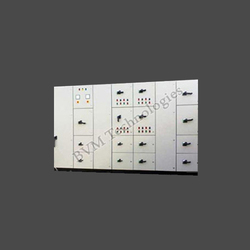 these panels are manufactured as per the client's specifications and requirements. Power / Distribution Transformers are manufactured by us using qualitative material and tested on various parameters for efficient working life. 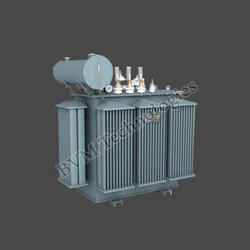 These energy efficient and durable Transformers are capable of withstanding extreme voltage supply. We also provide installation services to our clients as per their requirements. 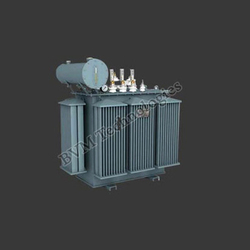 Moreover, our Power Transformers are available at reasonable prices. 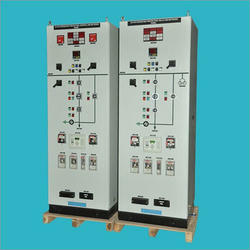 Relay Based DG Synchronizing Panel is used for synchronizing two or more DG’s by Relay. 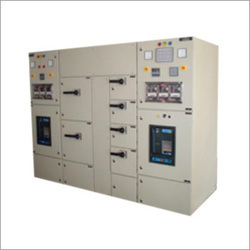 These are instrumentation based panels for auto synchronization and load sharing functions as per specific requirements of the customers. 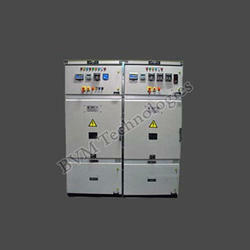 We are one of well known suppliers of Servo Voltage Stabilizerin the market. These Stabilizers are highly efficient and functional and offers continuous performance for longer period of time. 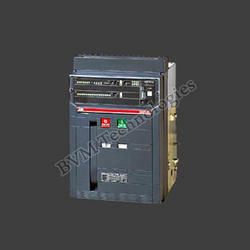 The Vacuum Circuit Breaker offered exceptional performance during the restriction of electrical short circuit. The circuit is compactly structured and ensure sturdiness with mechanical reliability. 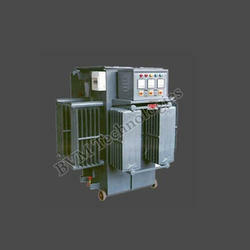 The vacuum circuit breakers are specially designed to interrupt the power in case of short circuit and power overload. Made in accordance with set industry standards, these vacuum circuit breakers are highly reliable and require very less maintenance.